FORMER Cooraclare and Clare footballer Enda McGuane is the new deputy chief executive officer/assistant secretary of the Munster GAA Council. His appointment was ratified at a meeting of the council in Áras Mumhan last week. McGuane took up his new job on Monday last. The new Munster official is a member of a well-known GAA family. A former inter-county footballer, he was a member of the Clare senior football panel from 1997 until 2001. During that time, Clare seniors won the McGrath Cup and reached the Munster senior final in 2000. Previously, Enda had been a member of Clare panels from U-14 through to junior. Enda’s father, PJ, won championships with Cooraclare in the ’60s and went on to serve at all levels for his club. He was chairman of the county underage football board for a decade and is currently a Clare delegate to the Munster Council. Enda served as an officer in the Irish Army for 14 years and held posts both in Ireland and overseas (Lebanon and East Timor). Following his army career, he successfully held management positions in both the public and private sectors working with Athlone IT and Blackshore Holdings Ltd.
Enda has had a life-long interest in the GAA and during his time with the army, he was involved in the organisation of fixture schedules. He did his masters degree while in the army and his thesis was on the GPA. Managing the changes that are coming due to the economic climate is a concern for all in the GAA. “As every club knows, sponsorship is an issue and I hope that we would be able to provide leadership in these areas and provide support for the clubs,” Enda told The Clare Champion this week. His appointment means that two Cooraclare natives now hold major posts at provincial GAA level. Adrian Hassett is the operations manager with the Connacht Council. He took up this post earlier this year having spent the previous 10 years as Gaelic games officer at NUI, Galway, a post now held by Crusheen native Michael O’Connor. Adrian took up his post with the Connacht Council back in May. “I am based in Ballyhaunis in Mayo where the Connacht Council’s headquarters are located. Much of what I do here is about club support while I am responsible for events management on the day of Connacht championship games. 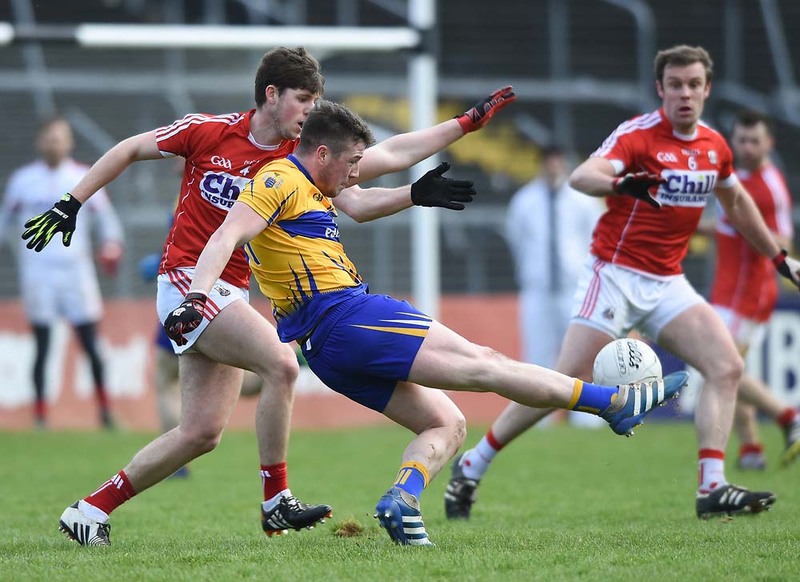 Currently, a strategic plan for Connacht is being drawn up and I am heading up that,” he told The Clare Champion.